Just when you least expect it, your motorcycle may encounter some issues that cause it to stop functioning properly. If you are in this situation, then make it a point to contact us and you can be sure of our quick response. We also provide specialty motorcycle towing and transport to destinations across the GTA. With Mississauga Tow Truck you can be sure that your bike is safe and secure at all times. Riding a motorcycle can be a lot of fun, as you experience a sense of freedom with every ride. 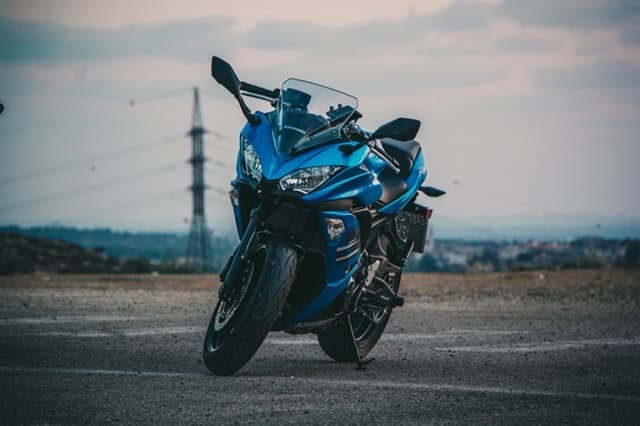 But at the same time, when an emergency arises, seeking the professional help of a motorcycle towing company Mississauga offers can be a moment of relief. After all, who would want to be stuck on the road and waste your time and energy when you could just get the help you need – and as you want it – in the most comprehensive vehicle towing service at a competitive rate that suits your budget. Our motorcycle towing services in Mississauga can provide you with the ultimate standards in motorcycle towing. Our tow trucks are equipped with state of the art strapping equipment to secure your motor bike while in transit. Our tow rigs are outfitted with custom motorcycle holders to fit everything from small “crotch rockets” to thundering Harley hogs and choppers. Whatever size your motorcycle, we have the means to tow and transport them safely to your destination. We understand that being stranded with your motor bike can be a pain, and this is why we treat every customer with utmost importance by showing up on time and with all the tools necessary to provide the assistance you need. When your motorcycle suddenly breaks down on the road, we are ready to provide immediate roadside assistance or tow you to the nearest bike shop of your choosing. Why should you choose us for your needs? You are probably one of those people who have wondered out loud “where is the best tow truck near me” while in the middle of making phone calls and consulting one towing service to another and hoping to get the best deal. If this is the case, then we are certainly the ones you need because of our professional work ethics, competitive pricing, and excellent quality service you can count on. We make things easy for our customers. You give us a call, we answer it, you notify us about your concern and your location, and we come to you – complete with tools, equipment, and tow truck. We do not want to over complicate things and show up late or without any idea what we need to do. As a solid business in the towing service, we assure you that our team members are highly reliable in addressing your concerns because of their sophisticated techniques, professionalism, and years of experience in the industry. Give us a call for any of your roadside needs from 24 emergency towing, flat tire service, battery boost, fuel delivery or any of our other services. It is not always very easy finding out which tow truck company to trust and consult for your emergency. There are those that do things right, but there are those who do them even better. Settling for second, third, fourth best is not the solution since you only run the risk of having the work redone after paying an expensive amount of money. If you happen to be in North York, Greater Toronto Area, Thornhill, Brampton, Markham, and Hamilton, among a few others, the Mississauga Tow Truck is the finest service you can count on. Just pick up the phone, call us at 647-953-9655 let us know where you are and what you need, and we won’t even wait another moment before we come to your location. For more information about our services or to get a free quote.